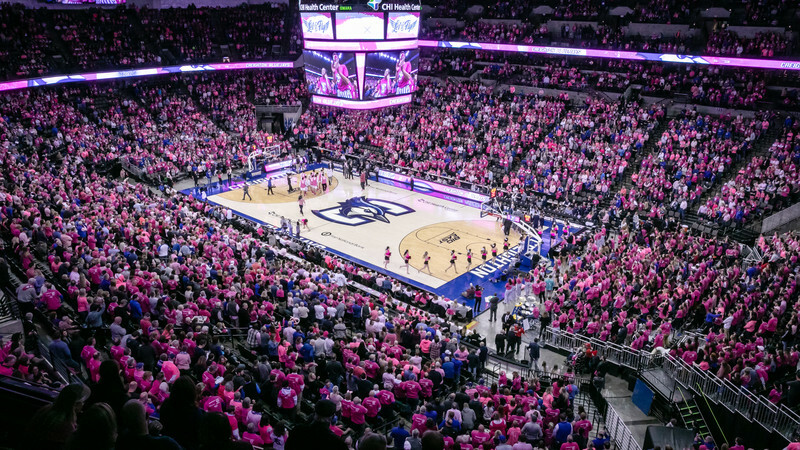 Creighton’s Pink Out game against Butler on Friday night was a win-win. 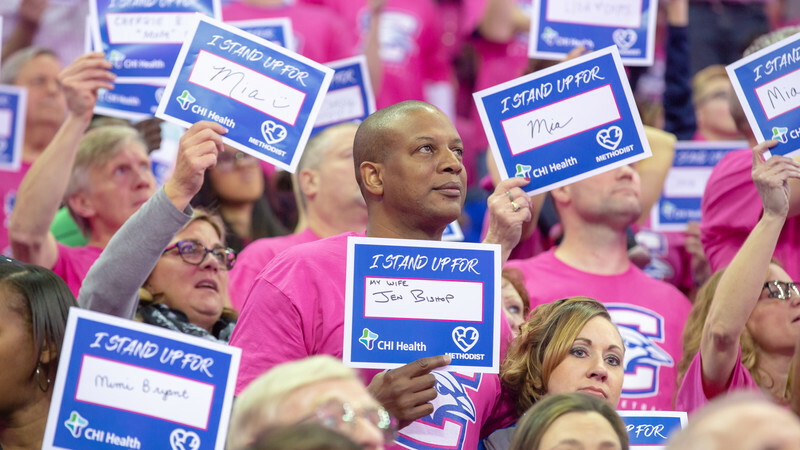 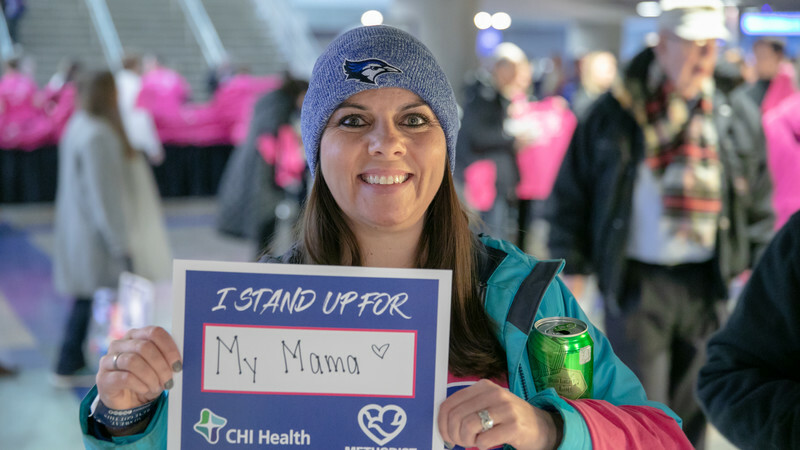 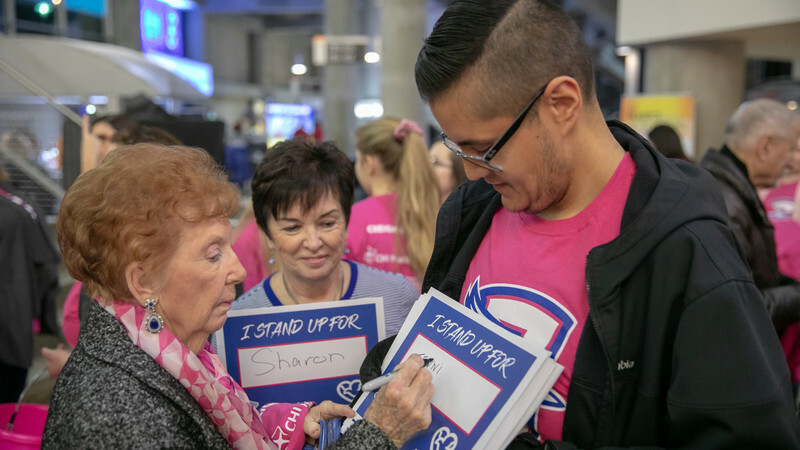 Not only did the Bluejays beat Butler 75-61 at the CHI Health Center in Omaha, but 18,089 fans – many dressed in pink – came together to take a stand against cancer. 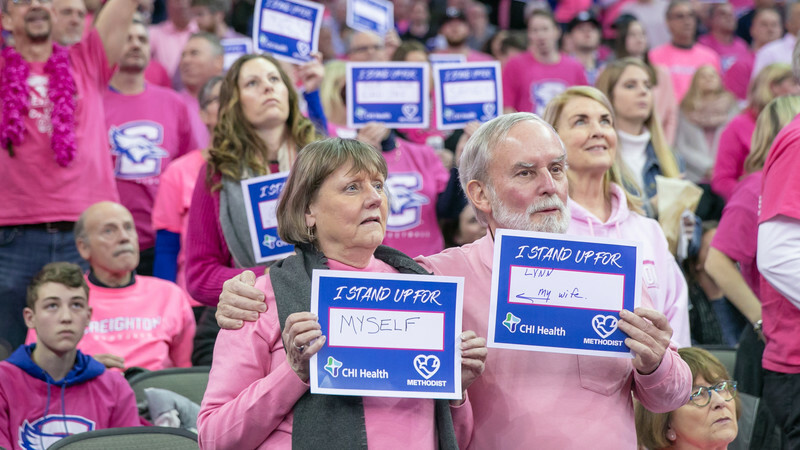 The annual Coaches vs. Cancer Pink Out game, co-sponsored by Methodist Health System and CHI Health, is a powerful event that promotes awareness of all cancers. 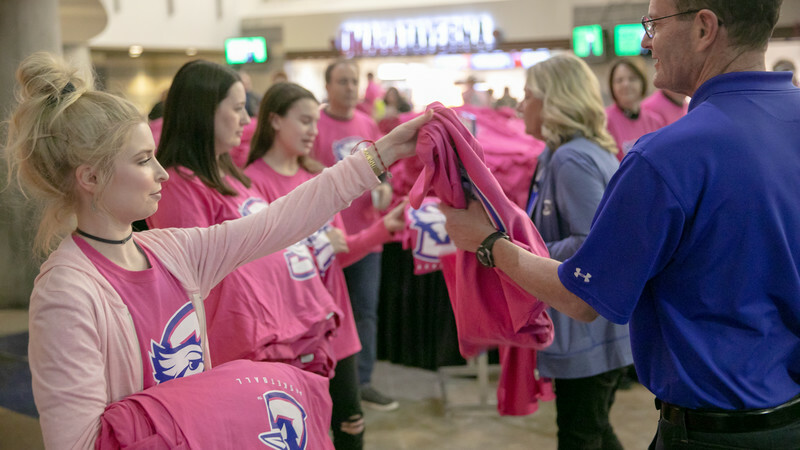 This year’s Pink Out auction and activities raised $19,595 for Hope Lodge Nebraska, which provides a free home away from home for cancer patients and caregivers who travel to Omaha for treatment. 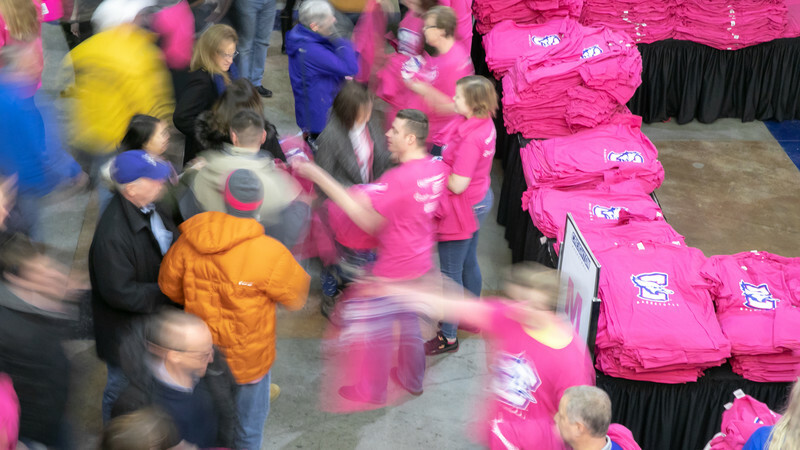 Since the 2011-12 season, the event has raised over $205,000. 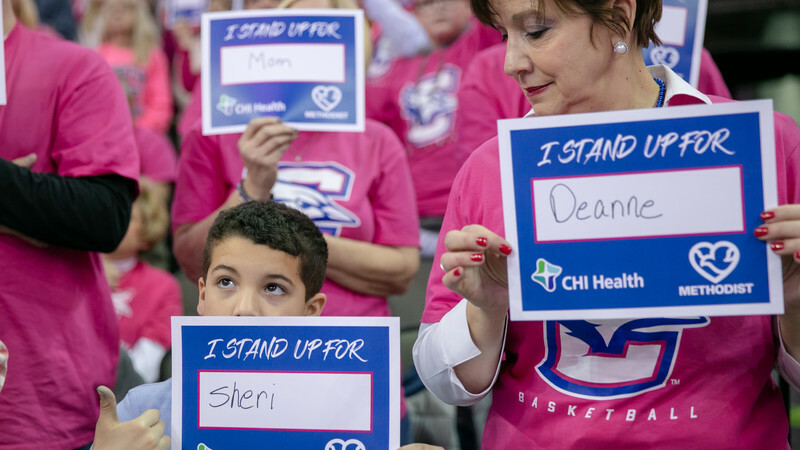 Friday’s game included an emotional moment when thousands of fans stood in support of loved ones as Rachel Platten’s “Fight Song” played throughout the arena. 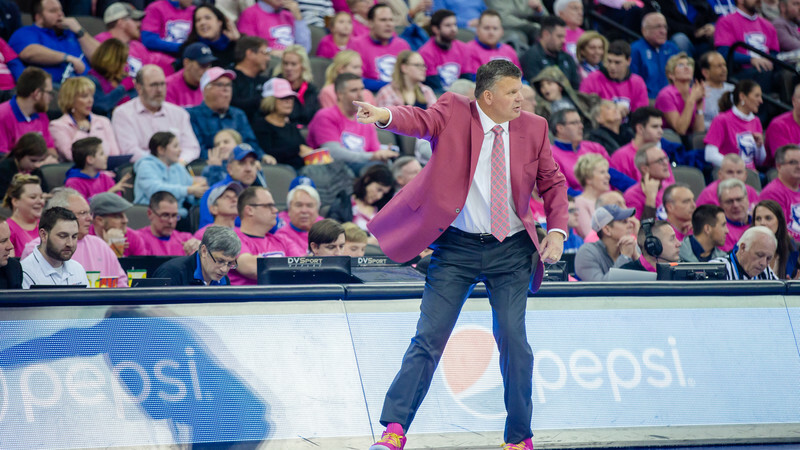 The Pink Out game “continues to amaze me,” said Creighton coach Greg McDermott, whose wife, Theresa, is a breast cancer survivor.